Ropes are like any other machine and to achieve maximum operating life in service lubrication must be applied. 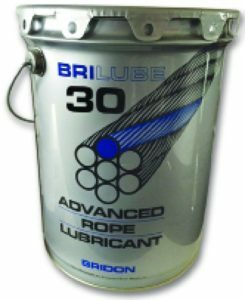 Bridon’s unequalled experience in the world of wire rope manufacture and many years spent in the development of specialist in service lubricants have been used in the formulation of the Brilube range of products. Brilube’s advanced formulation with proven performance helps to get the best from your rope. 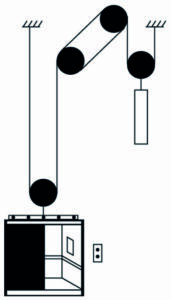 Brilube 30, 40 and 50 can be applied by brush, drip feed or portable pressurised sprayer. Brilube 60, 70 and 90 can be pressure applied using in-line application systems which are available to suit a wide range of rope sizes and constructions. These systems operate by forcing the lubricant into the rope under high pressure, whilst simultaneously cleaning the rope and removing the moisture, residual lubricant and contaminants. 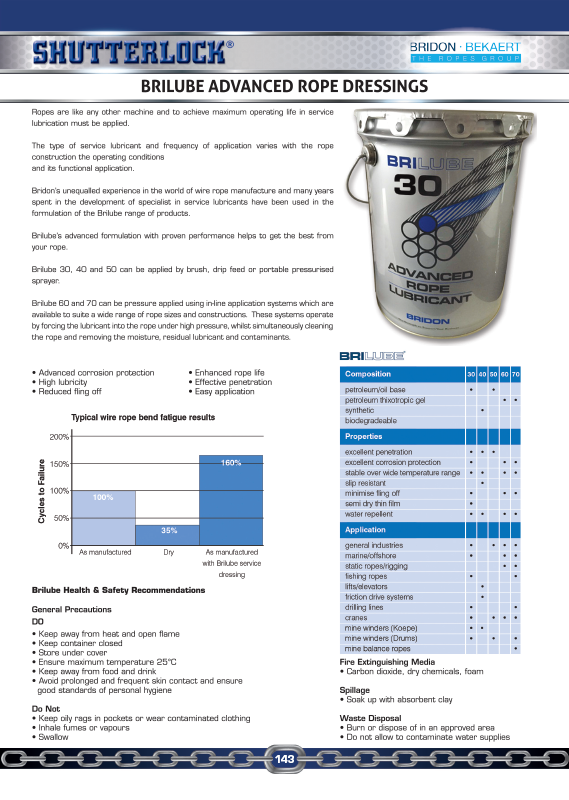 BRILUBE 30 – a semi-dry thin film lubricant with excellent penetration and corrosion resisting properties. Formulated for frequent use in harsh working conditions, whilst minimising lubricant build-up and abrasive particle contamination. BRILUBE 40 – a synthetic lubricant which deposits a slip-resistant film on the wire surfaces. Formulated for use where frictional grip is vital, it provides internal lubrication whilst avoiding excessive build-up with repeated applications. BRILUBE 50 – an oil based lubricant with additives to increase adherence and enhance corrosion protection. It has excellent penetration and lubrication properties for working ropes in normal industrial environments. 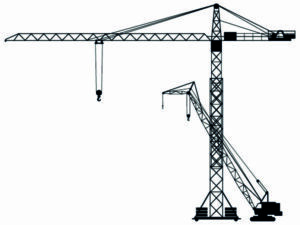 BRILUBE 50 is recommended for overhead cranes, hoist ropes and similar working ropes, where fatigue is the major factor in rope deterioration.